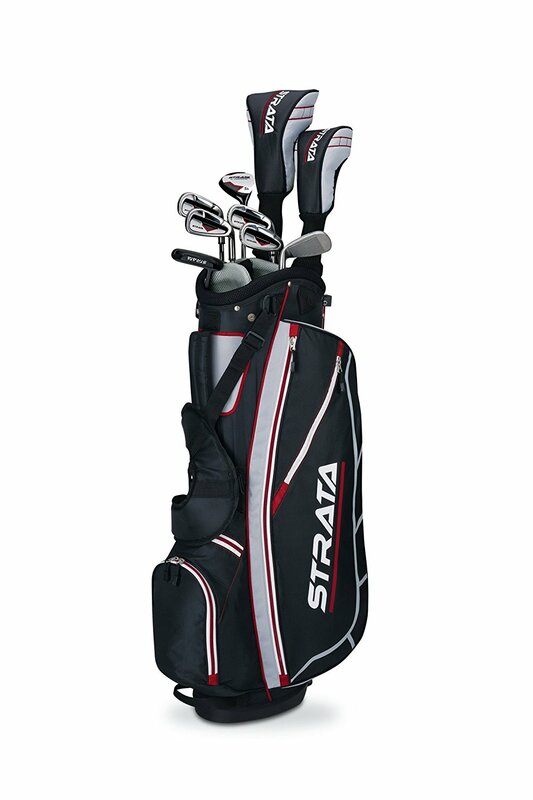 Strata Golf Clubs – Whats In The Bag? Driver- In this set, you will receive the Callaway 40cc Driver. This is a great club for beginners as it has a large Sweet Spot which therefore gives players a larger area on the Club for the ball to hit. Newcomers may find it difficult to hit the perfect shot down the Green with the 40cc Driver you can effectively improve your accuracy with every shot! Fairway Woods- Another well-picked club that benefits beginners and allows them to improve and gain confidence whilst using it. The 3-Wood Fairway is very easy to use and has an extremely smart aerodynamic head shape. This will give the user the ability to hit long, high shots to anywhere on the field. Hybrids- A hybrid is kind of a mixture between two different Golf Clubs. They can be really useful throughout a game of Golf and are a great alternative to buying both Clubs if you’re on a low Budget. They will give users the ability to test out different shot types and will normally produce amazing results. Irons- You will receive a Stainless Steel Iron that will allow you to confidently make shots with a lot of precision. This is great for when you’re playing near a Lake and don’t want the ball to end up at the bottom! Unfortunately, there are no Wedges with this collection. 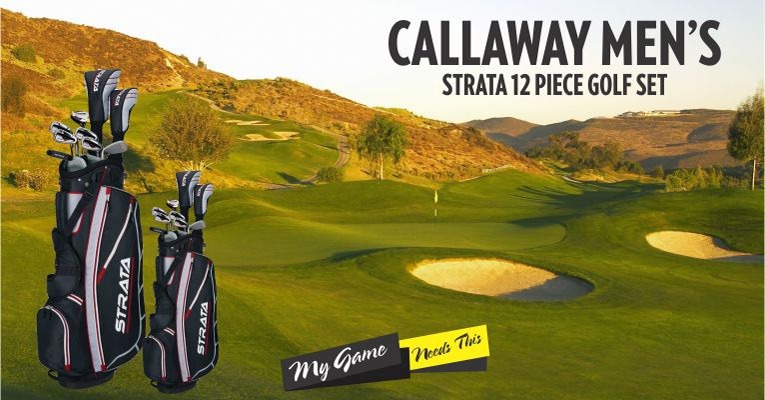 Putter- Coming with the classic Mallet style putters that always deliver incredible accuracy you won’t be let down with the Strata’s selection of Putters. Each has the T-Style alignment and should be perfect for lining up and placing that perfect shot into the hole. Incredible value for money, when you take into consideration the quality of all the Clubs in this collection you really are getting more than what you pay for. Definitely, one of the perfect sets for beginners, if you are new to Golf and want to play a couple of games with your own equipment then this could be the perfect product for you. You will also receive some nice additions such as headsets for all of your Clubs. Although it’s not massively important it again shows Callaway is always thinking about the customer. The bag is quite heavy, this can become an inconvenience if you’re going to be hauling it around all day. There are much lighter options out there for anybody who knows that this will become a problem. The materials used on the inside of the bag don’t seem too durable and there are way too many additional pockets that will never even be opened. Another great option for anybody that wants to get their own equipment without leaving their wallet empty. Callaway has clearly put a lot of time and effort into deciding which of their Clubs are best for this Bag. They have done an amazing Job of picking some which will massively benefit the user and are probably some of the best all around clubs for beginners. Although there are better kits out there this one is a great alternative if you want to save a bit of money and still enjoy a game of Golf! Precision and accuracy are always key components to a game of Golf and each club does a great job of giving beginners the opportunity to improve on these skills in particular.